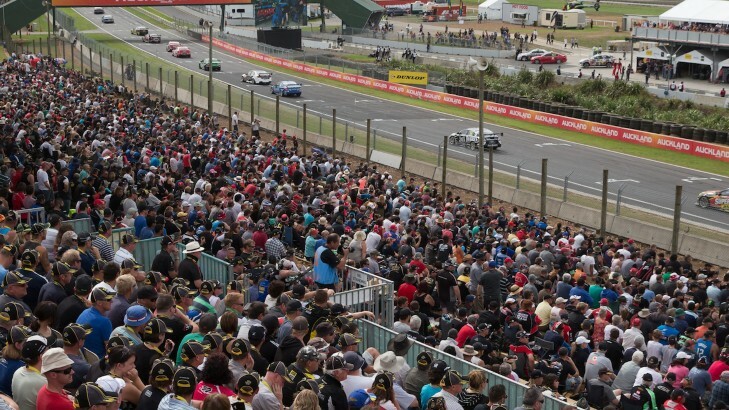 The Trans-Tasman sporting rivalry is set to continue today when the V8 Supercars descend on Kiwi soil for the first day of the ITM 500 Auckland at Pukekohe Park Raceway. Practice is the agenda for the day, with the V8 Supercars laying down some rubber during two intense 60-minute practice sessions. Will a kiwi come out on top on their first day back to their home track? Find out when practice one starts at 10.25am, followed by practice two at 1.10pm. But before they're unleashed onto New Zealand's hallowed motor racing turf, go behind the scenes and see all the garage action unfold in the V8 Supercars Paddock. With your paddock pass, watch the talented teams as they work on the cars, trying to make them go faster. Have your cameras at the ready, you may even bump into some of the personalities of pit lane, too. Between the sessions, keep your adrenalin pumping when New Zealand's best racing categories take to the track. The NZ Touring Cars, Toyota 86s, ENZED Central Muscle Cars, SsanYong Utes and V8 Utes will all be on hand to deliver some high-octane entertainment. Enjoy a bird's eye view of the fast and flowing Pukekohe circuit with Heletranz's Heli-Hot Laps. Watch the cars battle it out on track from the clouds during a thrilling heli hot-lap. This once in a lifetime experience is in high demand - ensure you visit the Heletranz Compound to secure your seat to the best seat in the house today. Head on over to merchandise alley to stock up on your favourite team's merchandise and V8 Supercars gear. While you're there, keep the little race fans entertained at the Family Zone, with bouncy castles, face painting, balloon twisters and plenty more. With kids 12 and under receiving free trackside admission with a paying adult, the ITM 500 Auckland is the ultimate family outing. It's going to be a super battle between the Kiwis and Aussies at the ITM 500 Auckland. Click here for event information and ticketing options.